EAGLE RIVER, AK (October 28, 2016) — A memorial service for Henry “Hank” Wallace Pearson, former ECC field director for Alaska and pastor, will be conducted at 2 p.m. on November 6 at the Evangelical Covenant Church here. He died October 17 in Amery, Wisconsin. Hank, 87, was born November 20, 1928, in New York, New York, to Anders Henrik Persson and Clara Emelia Antonson, both immigrants from Sweden. He earned a bachelor of arts degree from Seattle Pacific University and an MDiv from North Park Seminary. Hank married Lillian Marie Ericson on September 7, 1957, in Malmo, Alberta. He served ECC churches in Fort Francis, Ontario; Edmond, Alberta; was a missionary pastor in Nome and Fairbanks, Alaska. He also served Teien Covenant Church in Drayton, North Dakota, and First Covenant Church in Worthington, Minnesota. He served as field director for the Evangelical Covenant Church of Alaska from 1986 until he retired in 1994. 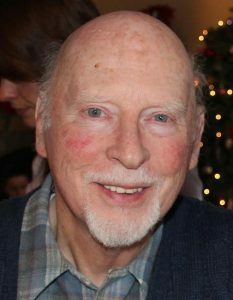 After he retired, he helped start and was a charter member of Community Covenant Church in Eagle River. In addition to Lillian, survivors include daughter Catherine Christensen (Scott) of Baudette, Minnesota; two sons, Gordon Pearson of Amery and Daniel Pearson (Leah) of Clear Lake, Wisconsin; and six grandchildren. I appreciated both of them very much. Residing in Wisconsin for 10 years, Betty and I visited them a few time while they served at Teien Covenant Church. We still appreciate their friendship. Hank fondly remembered in Worthington, Minnesota. Henry was a wonderful servant and encourager for many of us in Alaska. He will be missed! Peace to his memory. Daniel Johnson, Christian Radio for Russia, formerly in Unalakleet and Nome, Alaska. In the 1980’s and early 1990’s our church, Crossview Covenant in North Mankato, Minnesota, worked with Hank in building the church at Koyuk, working at Mt. Village, the Bible camp at Unalakleet, at Elm and Scammon Bay. Hank made our mission/adventures work go smoothly even with all the issues of the “bush” environment. What a pillar he was for the Lord’s kingdom in Alaska. He was loved by the native people. What a privilege to be able to work with him.